ARLINGTON - Thursday's contest between Texas A&M University-Commerce and Midwestern State, a rematch from last year’s Festival at Cowboys Stadium, begins at 7 p.m. The game, to serve as the fifth annual Harvey Martin Classic, will be televised live on the CBS Sports Network. Click here for ticket information. All nine Lone Star Conference football teams will participate as part of the event, presented by Firestone. The event includes four league contests, one non-conference game and a high school contest. 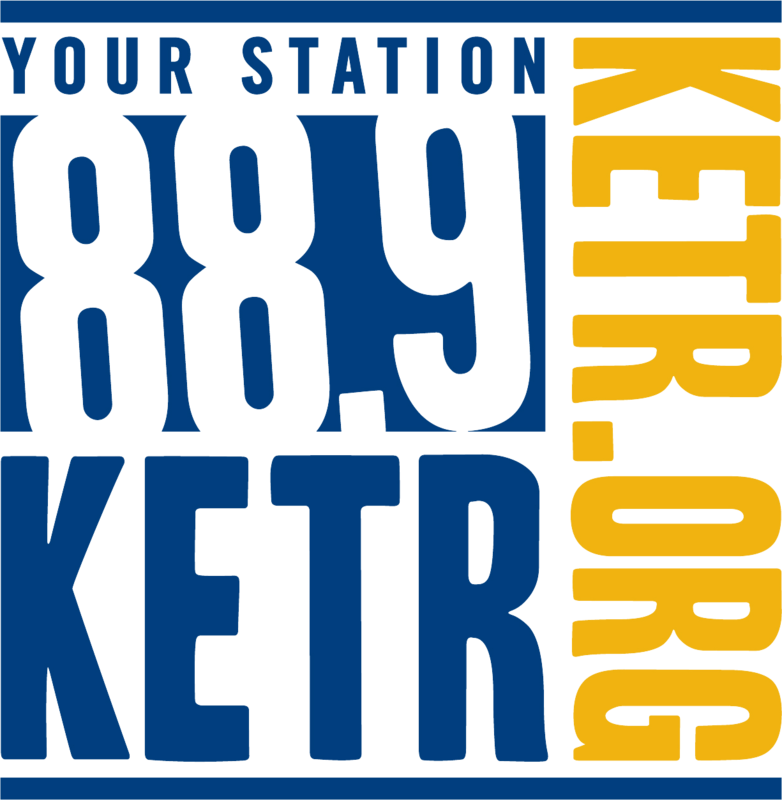 Texas A&M-Kingsville and Tarleton State top the LSC standings after upset wins over Abilene Christian and Midwestern State, respectively, last week. 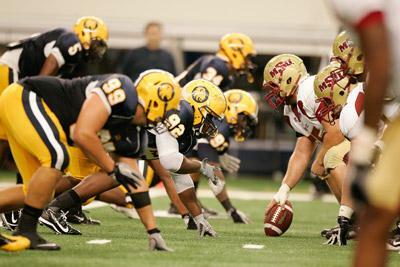 LSC football teams are 8-8 overall this season. The squads are 2-3 combined versus the Great Lakes Intercollegiate Athletic Conference, Great Lakes Valley Conference and Rocky Mountain Athletic Conference teams, which are also in NCAA Super Regional Four. The Lone Star Football Festival, a three-day, six-game affair which includes all nine LSC football teams, is set for September 13-14-15 at Cowboys Stadium. Friday’s lineup includes one LSC game and a high school contest, with Incarnate Word versus Eastern New Mexico at 3:30 p.m., followed by defending 5A state champion Southlake Carroll against Temple at 7:30 p.m.
On Saturday, the action starts at noon with Angelo State in opposition to two-time NCAA Division II national champion Valdosta State from the Gulf South Conference, followed by a pair of conference clashes with Tarleton State against Abilene Christian at 4 p.m. and Texas A&M-Kingsville versus West Texas A&M at 8 p.m. The 2011 Lone Star Football Festival drew an LSC attendance record 24,837 fans to a tripleheader of games, which included Midwestern State defeating Texas A&M-Commerce 63-17 in the Harvey Martin Classic, North Alabama stopping Abilene Christian 23-17, and West Texas A&M using a quick start to top Texas A&M-Kingsville 42-21. The series: A&M-C leads 11-5. Last game: September 17, 2011 (MSU 63, A&M-C 17). The series: Tied 1-1. Last game: September 10, 2011 (UIW 41, ENMU 28). The series: ACU leads 18-10-4. Last game: September 1, 2011 (ACU 27, TARLETON 24). The series: TAMUK leads 16-9-1. Last game: September 17, 2011 (WT 42, TAMUK 21). 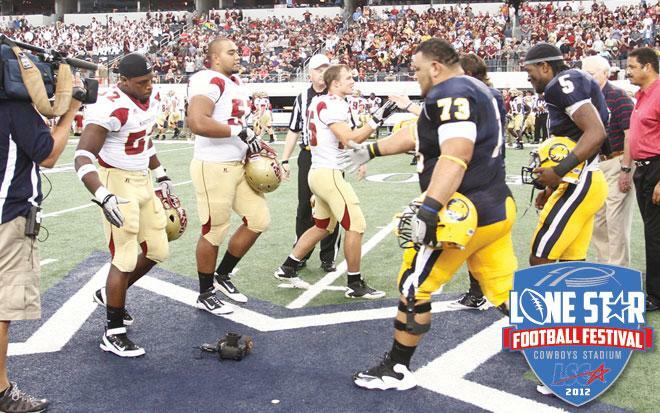 ARLINGTON - For the second year in a row, Texas A&M University-Commerce will play Midwestern State in the Lone Star Football Festival at Cowboys Stadium. This year, it’ll air on the CBS Sports Network.